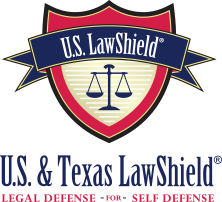 Click Here to sign up for US & Texas Law Shield and use the promo code HAFER. CASH ONLY for repairs, credit card (Visa and MasterCard ONLY) for purchases. We do not accept personal checks. Yes, with a term of 30 calendar days. Do you offer Consignment sales? Yes, please contact Hafer’s for more information. Do you special order firearms? Yes, with the requirement of a non-refundable deposit. Do you special order parts and accessories? Yes, with a requirement of a non-refundable payment up front. Do you buy used firearms? Yes, we buy, sell, trade and consign firearms. Quotes are given in person ONLY. We wish we could, however, each job is different. We will need to physically see the firearm to give you an honest estimate. I cannot provide an estimate without the gun in hand; it is impossible to diagnose and/or determine the extent of work that will be involved without seeing it. I will provide an estimate once I have had the opportunity to inspect your firearm. Once we have completed these steps, I can give you and estimate of the repair cost. If additional work is required after work begins and it exceeds more than 20% of the original estimate, you will be contacted to authorize the additional work. No additional repair work will be performed without your authorization. How quickly can you return my gun? Hafer’s strives to finish all work in a timely manner, however, each job can be unique and sometimes an intesive task. Rushed work is often bad work! Each job is treated as if it were our own firearm being repaired or customized. It takes time to search for parts that are NO longer in production. Specialized tools are a must in this business, and sometimes break or need replaced. Some firearms need ultrasonic cleaned prior to even an inspection or diagnosis. At any given time a reputable gunsmith has a backlog. Certain times of the year, shipping takes longer. Please inquire about turnaround time for your firearm when you bring it to us, an ESTIMATED time can be given then. Hafer’s will not rush and compromise quality and precision. Can my firearm be repaired? In most cases all firearms can be repaired. It depends on the age, availability of parts and cost to value ratio. Each firearm manufacturer and their models are unique. Some firearms that are no longer in production have very limited resources, if any, for parts. We can make parts one at a time, but machine and manpower costs will apply. Many times you must make a decision about whether the cost of the repair is warranted based on the value of your gun and its sentimental value. Do you stock XXXXX part needed for my firearm? We stock a large selection of commonly needed parts both used and new; but there is no way we can carry every part for all makes and models of firearms manufactured over the last 100 years or more. Some parts we can make. Most parts must be ordered from our suppliers. I clean my gun regularly. Do I really need to have it cleaned by a gunsmith? Yes – a yearly thorough deep clean utilizing an ultrasonic cleaner is the best way to maintain the quality, life and value of your firearm. The number one cause of malfunctions is improper care. Hafer’s tends to all the details and inspects visually for problems during the cleaning process. Every firearm should have a yearly cleaning and inspection done by a professional. My transfer was denied. Can I have my wife/brother/friend/etc pick up the firearm and do the background check? ​NO! This is considered a straw purchase and is a federal felony, punishable by up to 10 years in prison and a fine of $250,000. Please do not do this, we are bound by ATF to report the incident!! How do you handle FBI, NICS, and/or Maryland State Police 77R paperwork denials? Denials are subject to a 50% restocking fee or a minimum of $100.00 restocking fee. Do you have an on-site Gunsmith? Yes. 2500 square foot show room located at 15411 National Pike Hagerstown, MD 21740. Yes. I will appraise and provide you with a written appraisal stating the condition and value of the gun. Many people like to have their firearms appraised for insurance purposes or just to know what their collection is worth. 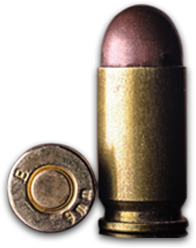 A single firearm appraisal is $20.00; large collections are quoted a flat rate for an appraisal of each firearm and the collection in total. There may be additional cost of travel if need be.